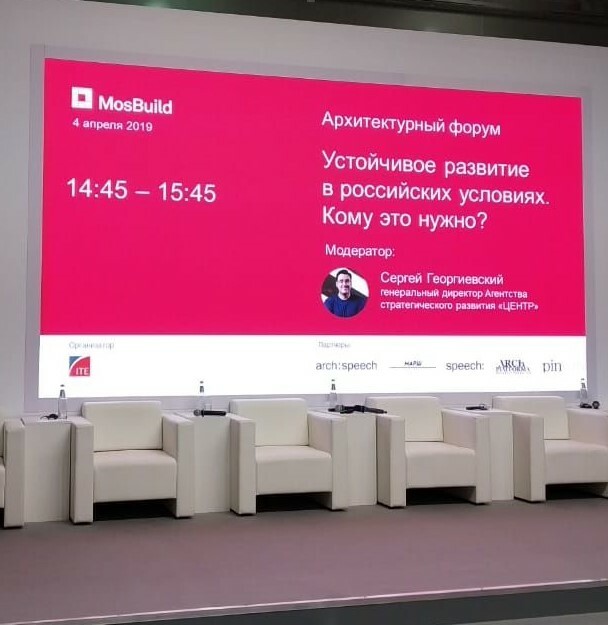 CEO of Agency CENTER Sergei Georgievskii took part in the business program of the 25th MosBuild 2019 international exhibition of building and finishing materials, which was held from April 2 to 5 at IEC Crocus Expo. 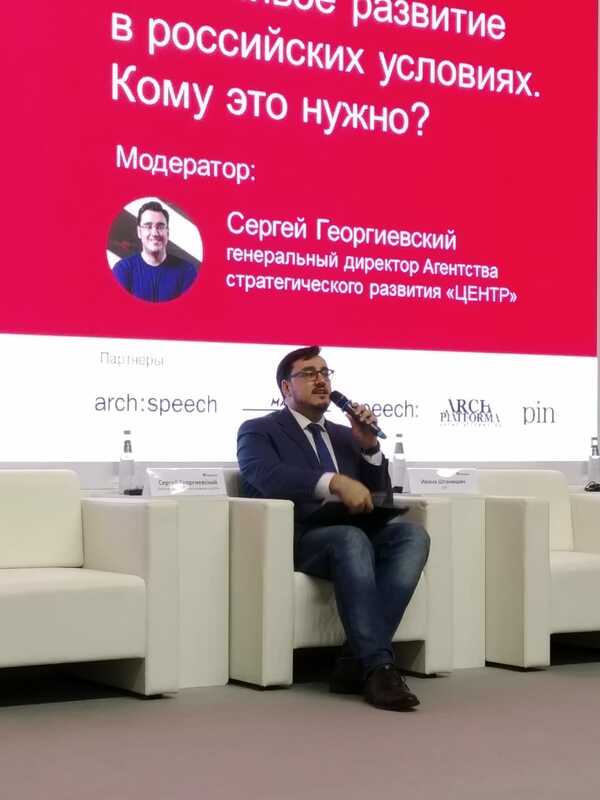 The architectural forum curated by Aleksandr Zmeul, editor-in-chief of web-based media arch:speech, was a part of the business program of the exhibition. The purpose of the Architectural forum was to go beyond discussions in which residential space is perceived solely from the perspective of square meters. Participants discussed it as a human habitat and tried to answer the key question: how to create a comfortable, high-quality but affordable housing today. Sergei Georgievskii moderated the session “Sustainable development in Russian conditions. Who needs it?”. The participants discussed the world experience in application of the principles of sustainable development, sustainable architecture and green technologies in construction and their prospects for use in Russia. 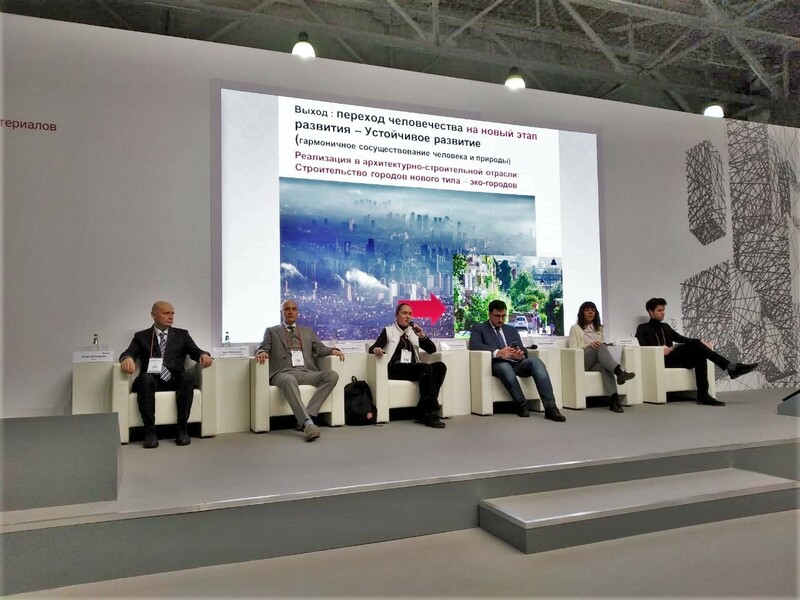 According to the speakers, the construction industry transition to a new stage of development is inextricably linked with these technologies and it is extremely important for Russia to consider global trends during the creation of a regulatory basis regulating this area. On the same day, there was a discussion concerning “Capitalization of urbanism. Is it taking place?” in which Aleksandr Bondarenko, CENTER’s architect-analyst, took part. Participants of the event spoke about the approaches that allow making investments in a comfortable urban environment attractive for developers and investors. The discussion was initiated by the MARSH School of Architecture.